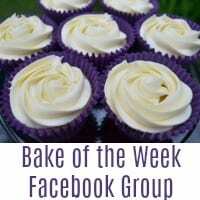 Firstly, I must give huge thank you to Jen from Jen’s Food and Lucy, Baking Queen 74 for doing such a brilliant job of hosting #Bakeoftheweek while I was away. It was lovely to see people taking part while I was sunning myself (it rained quite a lot so there actually wasn’t that much sunning!) I know that the roundups take forever to do and both ladies embraced them fully – really appreciate it, thank you! Anyway, back to baking – Cherry Scones it is. I had to check that I haven’t already posted a recipe for Cherry Scones as they are such a popular bake in this house but no. I get the littlies to help chop the butter into tiny cubes and snip the glace cherries with scissors. 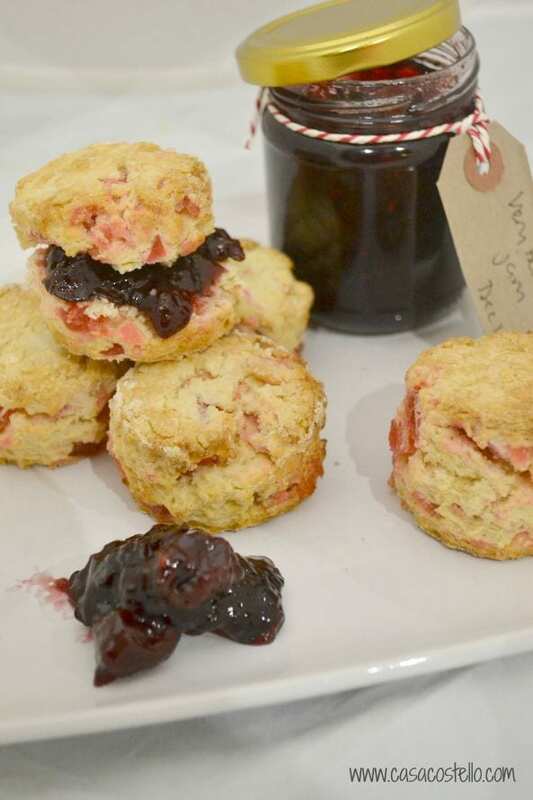 For more scone goodnes, why not try some of these fello bloggers’ recipes? My featured Bake of the Week is one that I cannot stop thinking about – I am in awe of how smooth and white this frosting is on Andrea from Made with Pink’s Black Forest Cake – Just beautiful. I love the simplicity of the decoration and that’s even without thinking how gorgeous it must taste! 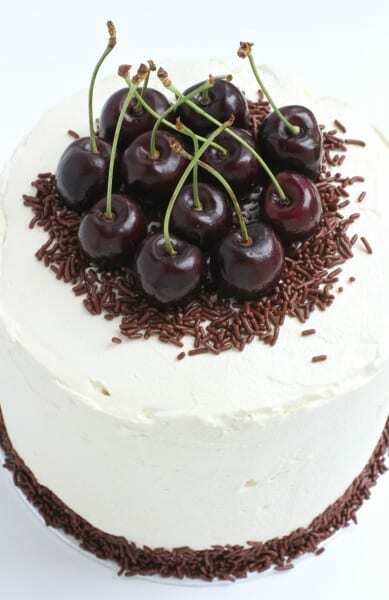 I’m loving the revival of Black Forest after its recent appearance on GBBO. 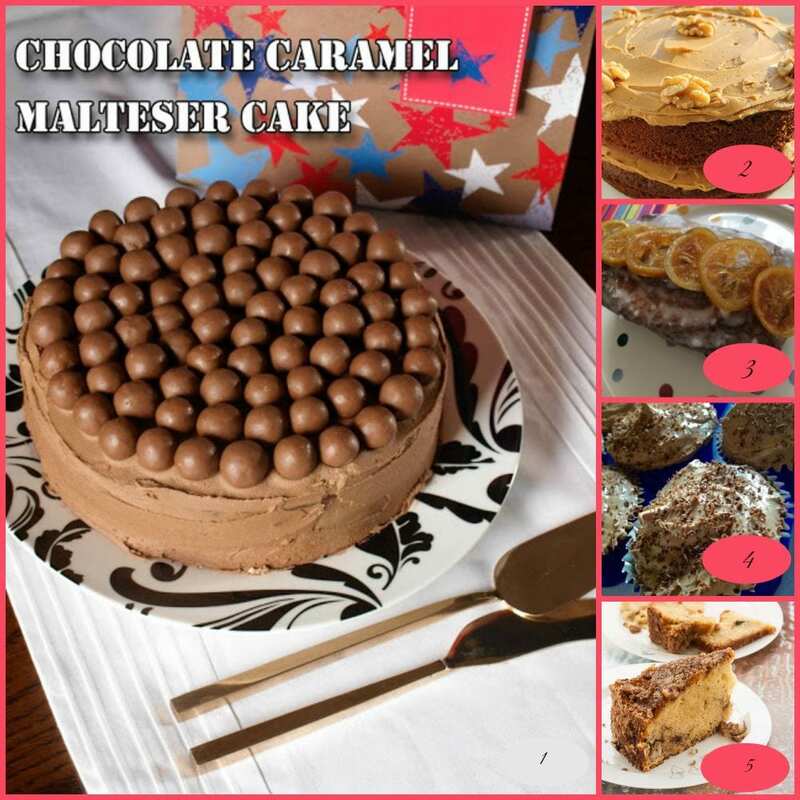 You cannot beat Malteser’s for fast, easy & effective decoration – Janice from Farmer’s Girl teams Malteser’s with Caramel in this luscious birthday cake. A warm welcome to Judith from Mostly About Chocolate with her creamy & dreamy Best Chocolate Cupcakes Ever! 7. More Brownies from Kerry Cooks with her Easy Gooey Triple Chocolate Brownies – Cor! 10. Gluten Free Chocolate & Pear Torte from Linzi at Lancashire Food – I’m lamenting the poor crop from our pear tree this year – only 10 useful pears! 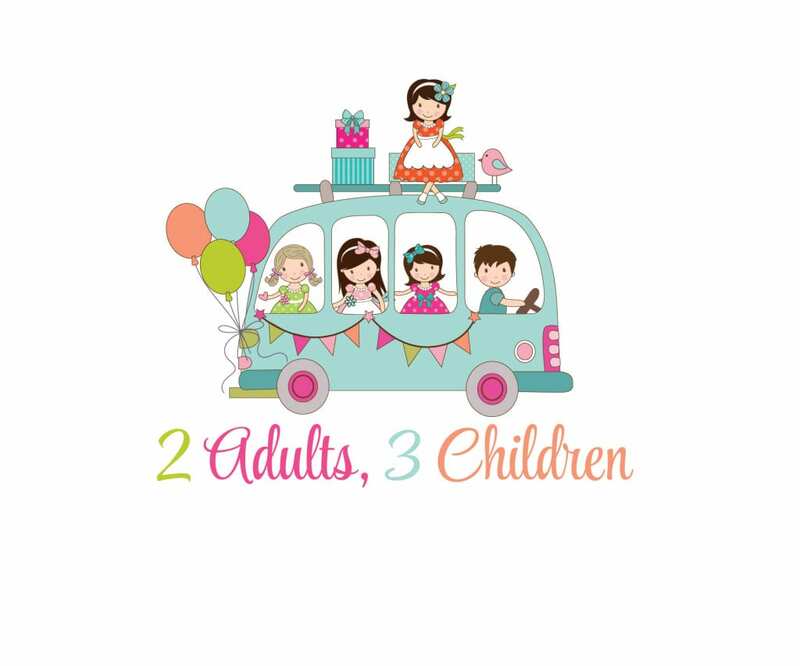 I’m going to leave the linky open for 2 weeks – I hope you understand, I want to savour every minute with the 3 girls before school especially Baby T. As usual there’s no theme and all types of bakes count – If its cooked in an oven or slow cooker, then you are welcome to take part. The badge is above for you to include in your post. Every entry will be tweeted, pinned, commented & Google +ed aswell as being included in the roundup. 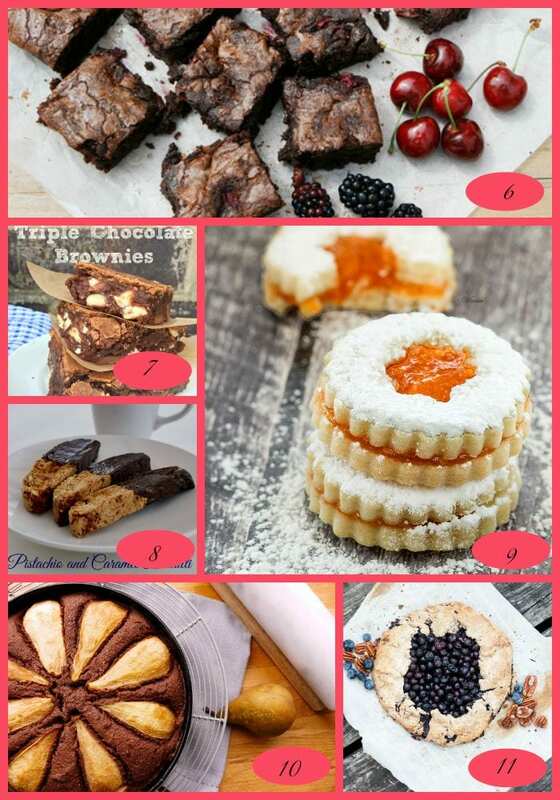 Feel free to join in the Pinterest board – If you would like to join the board and be able to link up any baking pins, please shout! Enjoy your time with the children, I loved the summer holidays too, memories to treasure. Lovely round up, thanks and the Black Forest Cake….so gorgeous ! I love scones! They are always so nice to eat. Your cherry scones look so delicious! I am going to have to try them. Thank you so much for linking to my orange scones. 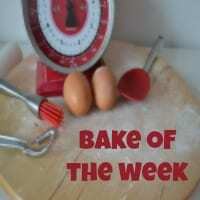 I loved being apart of bake of the week too. It was my first time entering and I’m so glad you’ve liked them too. My favourite scones at a local cafe are Cherry & Coconut and I reckon I could adapt your recipe to make my own. Enjoy what remains of the holidays, we’ve already been back to School for more than a week. Welcome back Helen 🙂 Lovely looking scones, and you’ve just made me hungry! Thanks so much for your words regarding my cookies!! And I must say you always have here great and unique entries,. so thanks for hosting this party! 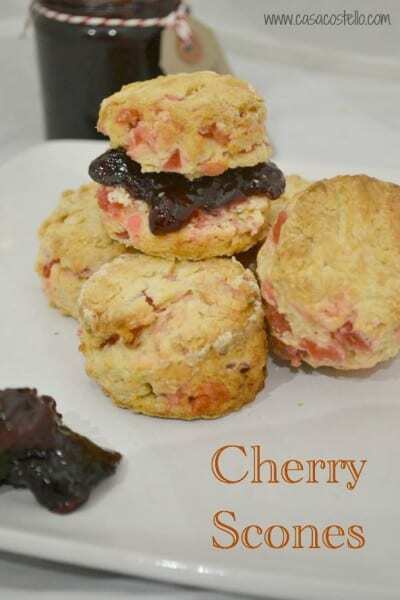 Love the idea of these tasty fruit scones, look really delicious! I love scones but I haven’t made any in ages. I must rectify that soon! Oh I love scones so much especially with clotted creams. I’ve never tried a cherry one before though! Will be making these! Love cherry scones! Enjoy your last few days of summer. As always, you’ve picked some wonderful looking treats. Love the looks of those brownies! Enjoy your last bit of holidays 🙂 I LOOOOVE scones and I’m trying to use up these cherries I have on hand….so this recipe is right up my alley!